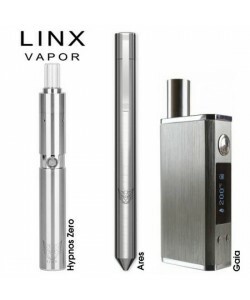 New to vaping and want an economical vaporizer to use while you get acquainted with the lifestyle? The Source Orb collection consists of a number of different models that are simple to use and are well suited for beginners and experienced vapers alike. Available for rather affordable prices, these vapes range from incredibly powerful units to devices for the casual user, all depending on what you need. Ideal for anyone who enjoys waxy concentrates, the Source Slim, XL and ORB 4 include well made atomizers. Each atomizer is very easy to use. Just add a dab of your favorite waxy oil and you'll be ready to vape in no time. Below you can find out what makes each of these wax vaporizers different from the next to help you make your decision on which one is right for you! The Source Slim 4 is a small wax pen that makes it simpler to charge on the go with the screw feature. It is very slim, perfect for dabbing on the go. Inside is an incredibly powerful crystal quartz atomizer that delivers a crisp, flavorful vape every time. Crystal atomizers are some of the purest one can use and the one inside of the Slim 4 Travel Kit is no different. Made from high quality materials and given a handsome finish, this vape pen has adjustable airflow and three temperature settings to help you customize. Furthermore, you can choose between the two included atomizers: the quartz terra or the quartz rod double coil, for even more customization of your sessions. Are you looking for a more powerful way to vape? Step right up and meet your match. The Source Orb is a bigger, more powerful older brother to the rest of the incredible Source Orb family. Always ahead of the game, Source knows what it takes to bring the best to the vape industry, and this monster is no different. Featuring one 4 Series Source Nail Quartz atomizer and one XL Series Quartz Triple Coil atomizer, you can be sure that every bit of vapor that you inhale comes to you pure, clean tasting, and full of aroma. The Orb is compatible with 5 unique batteries from the other Source models that are of different voltages and temperature control functionality, but keep in mind they require a 510-threaded eGo adapter. The standard power source is a 30-watt battery. These powerful batteries can be charged using a micro-USB charging cable that is included, and rounding out this awesome kit is a dabbing tool to make loading a breeze. The first to introduce a dual coil atomizer, Source has once again taken their innovations a step further by bringing the world's first triple coil heating element to the game. This massive coil produces an extreme amount of pleasurable heat and some dense, flavorful, potent clouds. Made to hold almost a gram of your favorite concentrates, the Source Orb atomizers are truly a match made in heaven. There are quartz rods inside of each atomizer along with that Grade 1 Titanium. Both of these high quality materials ensure the perfect mixture of flavor and vapor for a truly unique dabbing experience. The Source Orb features a variable voltage battery that possesses twice the power of the original Orb. It is backed by 1300 mAh and can be adjusted between 2.7v and 4.7v for true control over your level of power. Put the Orb on its lowest temperature and use the more laid back dual atomizer. If you want the full experience, turn it up to the highest voltage available and put in the triple coil quartz atomizer for extreme, intense dabs. This attachment also features a ten vent airflow system for serious versatility and easy to inhale vapor. Called perhaps the best vape pen on the market by a number of reputable sources, the Source Orb 4 Premium features an impressive selection of six unique concentrate wax atomizers: 3 double coils, a black ceramic double coil perfect for thinner oils, a nail coil-less atomizer with removable grade 2 titanium buckets, and a quartz & ceramic plated coil-less atomizer. All of these are threaded for swapping them out swiftly. The Orb 4 Premium's exterior is made of durable stainless steel, and it features a convenient magnetic lock for simple loading and cleaning of the chambers. This wax pen has a second-generation variable airflow system with five unique settings. With 8 temperature settings and compatibility with 4 other Source atomizers, this shiny vaporizer can do it all. It is also compatible with the Orb 3 and Source Nail atomizers as well. Highly portable. Magnetic lock technology helps prevent spillage, and its stainless steel 303 makeup ensures durability. The vape is covered by a lifetime warranty so you are covered if something happens to it. The Source Orb 4 Signature vaporizer eliminates the standard Source Orb variable voltage and temperature battery with a robust and powerful 40 Watt Temperature Control Mod Battery that delivers outstanding 2200mAh sub-ohm power. The Signature features 2-piece magnetic construction, variable airflow settings, and 8 new wax atomizers. Alongside the typical quartz single and quartz double coils, you get a white ceramic double coil and Source's exclusive coil-less Ceramic Terra chamber. Additionally, Nail coil-less titanium & ceramic, and a black ceramic double coil atomizer that is perfect for thin oils, are included with this one of a kind kit. On top of the amazing selection of atomizers, the Orb 4 Signature model features updates such as a sturdy stainless steel construction. The revolutionary Source Nail is a new dab vape that is part eNail and part mod, combining power and portability into one innovative device. Much more versatile than typical wax vaporizers, eNails, like the one from Source are truly futuristic and much more efficient. The Nail gets its power from a strong 40-watt temperature control sub-Ohm battery and includes three high-end coil-less atomizers made of quartz, titanium, and ceramic, respectively. For filtration and diffusion of your waxes and oils, attach the glass top that comes included. The invention gives you the ultimate control of your dabs with full control over wattage between 5 and 40 watts. Additionally, you can also choose any temperature between 200 and 400 degrees Fahrenheit. In conclusion, the new Source Vapes Series is a complete line of wax vaporizers and attachments that can bring to you one of the best dab experiences possible. Featuring a number of unique products, the Orb 4 Series includes vaping kits that have everything you need to have more pleasurable and efficient dabbing sessions, from cleaning to charging and beyond. Portable, easy to use, and highly versatile, there is sure to be one or more of these bold vapes that meets your specific needs. Find the one that is right for you and browse our selection above, here at VaporPlants, so that you can be a proud owner of one of these today. Huge clouds - Review by William E.
I love that the Slim 4 has a stash compartment in the bottom of the vape. I think this wax vaporizer is a really thoughtful feature and I don't have to worry about carrying around another jar with me. Recommend this to anyone - Review by Minnie C.
The only way that it could be better is if they added in more atomizers at once so that I didn't have to buy so many extras, because I use this thing a lot. I would recommend this to anyone who is looking for a way to vape more discreetly and get the most out of their vape. The atomizer really gets rid of everything in the chamber so I don't have to worry that I am wasting my material. I think that when it comes to an erig, it does not get any better than this. No waste - Review by Kristen M.
This Source Nail vaporizer also comes with an exceptional atomizer that uses up all of the wax easily and doesn't let any of it go to waste. It is so easy to clean when it comes time and takes no time at all to load up. ORB 4 hits - Review by Dorothy D.
The ORB 4 hits provide me with instantaneous clouds that are large and billowy and really satisfying. I just love everything about it and would recommend it to anyone. Superb performance - Review by Paul B. The Source Nail offers superb performance. They are simple to clean and take no effort at all to clean or to load. I love the overall simplicity of this vaporizer in total. It really makes a clean different when it comes to dabbing. The battery of the Source Nail vaporizer is a 40 watt battery and it is so powerful and long lasting. I don't need to charge it all of the time, and when I do, the charge time is decently short so I don't really mind doing it. Learning curve - Review by Richard S.
ORB 4 vaporizer is made really well and even though it has a learning curve to it, it is worth spending the time to figure it out. Great price - Review by Eric J. The Source Nail vaporizer comes at a fair price, too, so I definitely feel like I am getting what I paid for. The atomizer that comes with it is great as well. Exceptional - Review by Nancy W.
Source Nail really has exceptional flavor like I have never tasted before. This is it - Review by Joseph Y. The Source Orb 4 vaporizer gave me exactly what I needed from a vaporizer. Cannot break - Review by Harold A. Slim 4 is really discreet in the way that it is attached and it's made out of silicone so it cannot break and the wax won't stick to it either. Slim is slender - Review by Peggy N.
I love how slender it is as the name suggests. It isn't some big bulky thing that I have to carry around with me and try to hide if I want to vape out of the house and I love that. Great - Review by Mary A. The Source Orb 4 is a very well thought-out vaporizer that makes me wonder why I never bothered with one before. This vaporizer is great for me and my needs as I don't really ask for much. Favorite vape - Review by Janice P.
The Source Nail vaporizer is my new favorite vape. Downright ridiculous - Review by Donald A. The Nail by Source battery life is downright ridiculous in terms of how long it can stay on. I love that when it dies I can have it charged again in no time at all and won't have to worry about it dying on me in the middle of a session. Vape for longest - Review by Robert M.
I love what this vape can do for me in such a short period of time, and if I want to vape for longer, I don't have to worry about it dying on me. If it does die, it doesn't take long at all to charge up either. It offers really smooth and tasty vapor that doesn't hurt the back of my throat like a lot of the other vaporizers that I have tried. This vape is a great one that I can rely on. Low odor - Review by John J. The smell is relatively low as well, so it is really great for vaping out in public. It provides really big clouds that are different from the thin streams of vapor that I am used to getting from a wax vape. Long lasting battery - Review by Clara J. The battery lasts long, which is another way that the Source Nail vaporizer stands out from the others. Slim and compact - Review by Carol C.
It has the perfect weight and feels great in my hand. I use this everywhere I go and love that it is as discreet as it is. This is seriously the best vape ever for secretive vaping. Not as compact - Review by Laverne B.
ORB4 would be nicer if it were a little more compact so it would be easier to take with me out and about to get things done with it in tow. Great product - Review by Ronald M.
This Slim 4 vaporizer is an all over great product that I love more than any other vaporizer that I have tried for wax and I have tried many of them. Beautifully designed - Review by Amy D.
The Source Nail vaporizer is different because it hits so hard but it does not burn at all, and the clouds are insane. This vaporizer is very smooth and the taste is exceptional. I think it’s hard to find vapes for wax that provide you with really great taste and really smooth hits. It's usually one or the other, so having both in one vape is really outstanding. The hits are enormous and just overall it is beautifully designed. Big clouds - Review by Anthony A.
I love that the quartz helps produce bigger clouds than I am used to with a wax vape. This is one of the best vapes that I have ever used, and I feel like it is safe to say that I have tried all of them on the market. Winner - Review by John C.
I have used a lot of different portable wax vaporizers, and I think that so far the Slim vape is the winner. Outstanding - Review by Jeffery J.
I don't think I will ever go anywhere else. The ORB 4 has a really great price especially for what it does. It has a high quality beginners kit that comes with it, so even if you aren't sure what to do with it, you can get acquainted easily. The quality for the price is just outstanding and I can't say enough about it. Large vape - Review by Thomas C.
The only thing that I have to say negatively about the Source Orb 4 vaporizer is that it is a bit long after I assemble it. Hits hard - Review by Jenny G.
Source Nail hits like a real life rig, but doesn't require a torch obviously; just a great translation of the experience. Easy - Review by Janel D.
I love how easy Source Nail are to clean. The best vaporizer - Review by Annette T.
ORB 4 vape is definitely the best vaporizer that I have ever used when it comes to wax and concentrates. Dual coil atomizer - Review by David F.
The Slim 4 vaporizer comes with two coils, and both of them are great. One is a dual coil atomizer and one is a bucket atomizer. Both are made out of quartz. The quartz gives me fantastic flavor and super clean hits. Great clouds - Review by Ramona A. This Nail vaporizer offers really great clouds that are hard to get from other wax vapes that just give me really harsh and thin little wisps of vapor. Really versatile - Review by Vincent M.
If you want something that is really versatile, offers a lot of flavor and has a long battery life, then I cannot stress enough how much you need to own the Source Orb 4 vaporizer. Overall great - Review by Charles H.
I love everything about the Slim 4 vaporizer. Gets warm - Review by Dab P.
The only thing I will say about Source Orb 4 in terms of things that I don't like about it is the fact that it gets a little bit hot if you use it for a long time. But if you are just taking short smokes at a time, then that will not be much of a problem. Friends favorite - Review by Enola J. These Source vapes are probably the best wax pens that I have tried. I haven't had any issues with loading it or cleaning it and it is simple to use with its user friendly interface. All of my friends prefer to use Nail vape when we hang out over their own as well. Powerful - Review by Frank M.
The Source Nail vaporizer is a really powerful unit. Helps me - Review by Bud K.
I use my concentrates for medical reasons and the Source Orb 4 vaporizer really helps me. Not only does it efficiently deliver the medicine I need, but it also offers really great flavors at the same time so that dosing is something I enjoy. It is easy to load so I don't have to worry about fumbling around with it for too long when it comes time to medicate myself. I can preload a coil with a good amount of shatter or load a coil cartridge, and it will be all good. The best one - Review by Bernadette H.
The Slim 4 vaporizer is by far the best one that I have ever used in terms of dab pens. This vape is fast to heat up, takes about couple of seconds to get you going. Well worth the investment and the thing is sweet. I suggest getting the ORB 4 Premium when you selecting your next wax pen, I placed an order for two of them. Great design - Review by Charlie K.
The titanium heating element is well designed, and does just as vape should do. Make sure to test the coil before putting any wax or waxxy oils on it, it will be impossible to remove it because it is so sticky. The coils work great, but like everything, they do not last forever, so if you heat it up, coil turns red, you are good to go. Well done, and looks awesome with you vaporize. The taste is great, and the vapor is thick, this wax vaporizer does the job well. Very simple to use, load it up with wax (not too much) and vape away!